A Ceiling Hoist is a multi-purpose tool that really pulls its weight, not only providing the means for transfers for patients from bed to chair or bed to bathroom for example, but also assisting in their rehabilitation and physiotherapy through gait training. Explaining the positive benefits of Ceiling Hoists for physiotherapy in hospitals is therefore straightforward, but to ensure the case is fully laid out and as clear as possible, OpeMed have created a concise and to-the-point Quick Guide for this exact purpose. 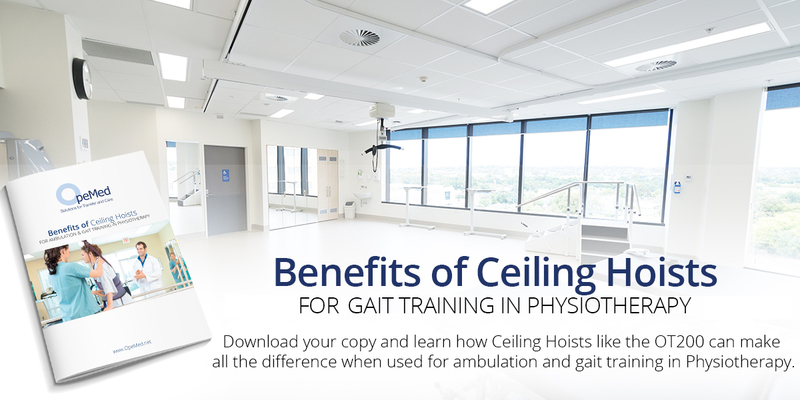 The new Quick Guide outlines the benefits that Ceiling Hoists can offer in a physiotherapy environment under a few choice and key sub-headings that summarise how Ceiling Hoists can enhance how gait and ambulation training is conducted for patients and how this can improve their response, their safety and that of the physiotherapists. It also covers the ways in which Ceiling Hoists can be and have been used specifically in these environments to best suit the needs of those undergoing physio treatment; XY Systems for full room coverage, large loops for continuous ambulation around a room or a straight track above a set of parallel bars. OpeMed have installed Ceiling Hoist solutions for physiotherapy both in the UK (CASE STUDY: Dorset Orthopaedic Centre) and in large rehabilitation hospitals across GCC, Asia, Australasia and many more locations (CASE STUDY: Bendigo Hospital, Australia); our expertise extends not only to designing and applying hoisting systems to different rehab needs but also installation. 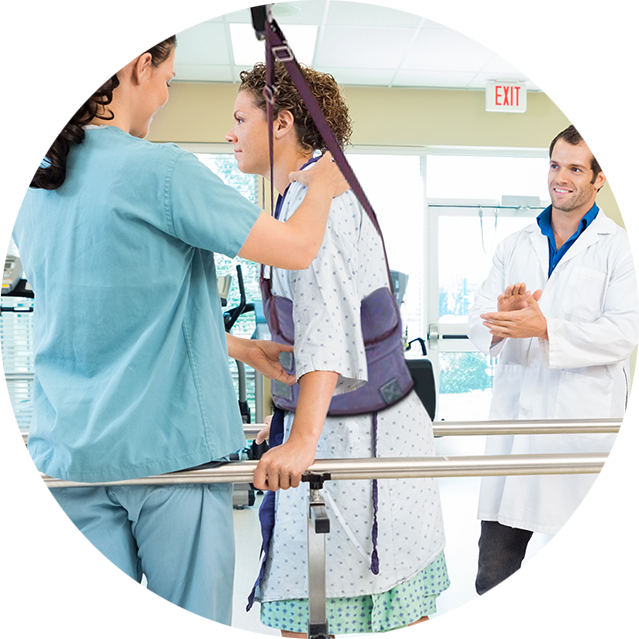 Our experience with Ceiling Hoists in any environment, as well as our historic projects worldwide specifically aimed at hoisting applied to gait training, allows us to offer well-honed and tested advice that can be relied upon to offer patients the best service and ultimately, a better recovery. 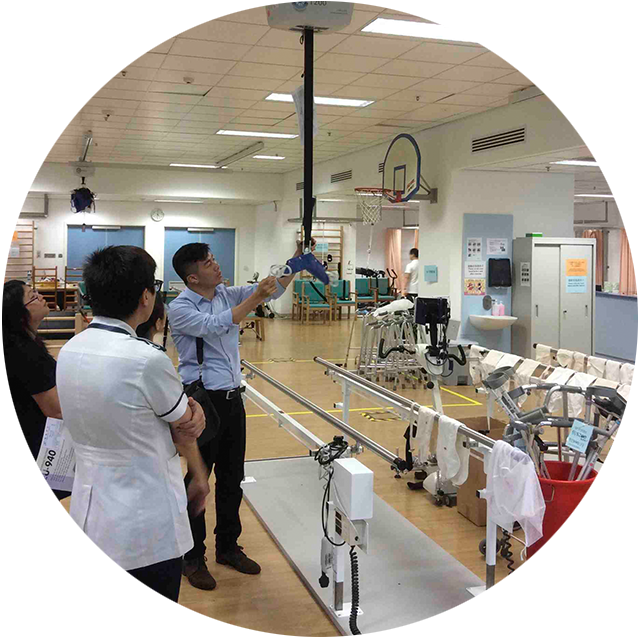 This useful guide is a brief but bountiful resource that will make a fantastic tool when informing on or including Ceiling Hoists for Gait Training and Ambulation in Physiotherapy in projects.